The JAS 39E Gripen is something of a paradox. It’s at the same time both a mature concept dating back to the late 80’s and a fighter so new the first deliveries aren’t planned until next year. The program is still reportedly on schedule while the first flight was pushed back and there are persistent rumours that the following 39-9 and 39-10 have been delayed due to the recent upgrades. While the two-seat Foxtrot-version is developed by Brazil for the needs of the Brazilian Air Force, any Finnish order for conversion trainers would be assembled at the normal production line in Sweden. And despite all of this, the Echo is still happily continuing as one of the favourites for the HX-program. But as we have discussed earlier, with a set budget and a cap on the number of aircrafts, the interesting part is how much combat capability can be delivered within these two? On paper, this does seem to favour bigger and more capable aircraft, but that would be to overlook how tight the 10 billion Euro cap actually is as well as overlooking a number of the Gripen’s stronger cards. 39-8, the first ‘Echo’, flies with IRIS-T wingtip mounted missiles and several weapons pylons. Picture courtesy of Saab. The whole concept behind the Gripen, the earlier A/B/C/D as well as the current E/F versions, is operations against a numerically superior peer-level enemy. This puts significant demands upon the ability to get the most out of every single aircraft, from the ground up. To begin with the aircrafts get a large number of flight hours during combat operations, thanks to the quick turnaround time. This is something the Swedish jets demonstrated to their Finnish hosts at exercise Ruska 2017 last autumn. The same exercise also demonstrated the ability of the Gripen to seamlessly fit into the Finnish air combat system. This is no surprise, as the development of the Finnish and Swedish air combat doctrines have been heavily influenced by each other, including dispersed basing and operations with limited support equipment. At the other end of the spectrum, Saab has put significant works into making the OODA-loop as short as possible. The key issue here is to make the man-machine-interface as effective as possible, providing the (outnumbered) pilot with the information he or she needs in a way that he or she can quickly process it and make the necessary split-second decisions. This is made possible by the completely fused sensor and sensor control system, which includes not only the Selex ES-05 Raven AESA radar, but also an IRST (the smaller sister of the Typhoon’s PIRATE), the passive electronic warfare sensors, as well as datalinks. The combination of IRST and passive EW sensors is of special interest, as they are both Saab’s answer regarding how to counter stealth fighters as well as the key to executing completely ‘silent’ intercepts. As Skogberg briefs the gathered Finnish media at the Finnish Air Force 100 anniversary air show, he is interrupted by a roar as J 35J Draken ‘Johan 56‘ of the Swedish Air Force Historical Flight does it’s practice run, a physical reminder that less than 20 years ago it was a Saab-built fighter that defended the Finnish skies. This obviously points to another key aspect. Back in the Cold War Sweden stored surplus Draken-versions, ready to send them over to Finland in case of conflict (Finland was bound by the Paris Peace Treaty to have a cap on the number of fighters operated, but had instead trained a surplus number of pilots). While the same exact procedure is unlikely to be relevant today, Sweden is still arguably Finland’s closest partner, and having fighters which can use the exactly same munitions and support equipment would be a significant benefit. Crucially, much of this fits right into the Memorandum of Understanding signed by the Finnish and Swedish ministers of defence earlier this month. The MoU outlines that Finland and Sweden “will achieve increased operational effect through combined use of resources, [and] increased interoperability” in a “defence cooperation [that] covers peace, crises and war.” This is all based on the fact that “the ability to act jointly also raises the threshold against incidents and armed attacks”. However, when the Finnish Air Force is looking for an operational fighter to fill the gap left by the Hornets the question is if the Swedish fighter is just a bit too far into the future. The first deliveries to FMV, the Swedish Defence Material Administration, will take place next year. However, the first deliveries from FMV to the Swedish Air Force are only set for 2021, the year of the HX decision, where they will reach full operational capability only in 2025, the year of the first HX deliveries. Saab insists that the Echo is a very mature and proven system, and it is true that FMV will handle parts of the test and evaluation which in other nations would be part of the air force’s T&E program. Still, there’s little room for error if the Finnish Air Force is to be able to evaluate any kind of operational configuration of the Echo. Saab is trusting that they will be able to do this thanks to the complete decoupling of hardware and software which they have made. So far it seems to be working, and Saab’s stated goal is to push upgrades for the operational Echo at even shorter intervals (and hence smaller in scope) compared to Charlie’s three-year cycles. In a world where the transatlantic link is looking surprisingly shaky, the French charm offensive is continuing. And as some of the competition are fighting delays, cost overruns, and uncertainties, the Rafale is steaming on ahead seamingly without any major hiccups. In the short term, that means rolling out the F3R standard which will sport AGCAS (Automatic Ground Collision Avoidance System), introduction of the MBDA Meteor long-range missile, and a host of other less noticeable upgrades to the aircraft. The F3R is an intermediate step, building on the current F3 model. The big step will then be the F4, which is expected in the 2023 to 2025 timespan, coinciding with the deliveries of the first HX-fighters in initial operational capability, which is set to happen in 2025. If Rafale would win HX, it is the F4 standard which would be delivered to the Finnish Air Force. Dassault is expecting that the French baseline will suit Finland just fine, though they leave the door open for the Finnish aircrafts to have unique weapons and external sensors if so required. Dassault is keen to point out the benefits of this model, making sure the Rafale is sporting mature but modern technologies through incremental upgrades according to the roadmap laid forward by the DGA, the French Directorate General of Armaments. The benefit from a Finnish viewpoint is that besides the Swedish Air Force JAS 39E Gripen, the French offer will be the only one which will be operated by the host country’s single-aircraft air force (though both the JAS 39C/D and Mirage 2000 will linger on for a few years more). The lack of dedicated fast jets for different roles ensures full support for the multirole capability from the host, something which certainly would make the Finnish Logistics Command sleep easier at night. One point which Dassault brings up when I meet them at this year’s air show which wasn’t discussed last year is the capability per aircraft. While the ‘how much bang can you create for 10 billions?’-approach of the HX-tender might hand an edge to some contenders, the politically motivated decision to acquire exactly 64 aircraft will on the other hand favour more capable aircraft. This is where Dassault see their strengths. The Rafale is largely assumed to be second only to the F-35 when it comes to signature reduction amongst the HX contenders. At the same time the Rafale is from the outset designed to be able to operate with limited support and low maintenance hours, a feature stemming both from the requirement to be able to operate from the relatively small French aircraft carrier Charles de Gaulle as well as from replacing the sturdy Jaguar and Mirage F1 in operations in austere conditions, often in Africa and in the Middle East. The latter is in marked contrast to some other contenders, and Dassault likes to point out that this is not just a design concept, but something the aircraft does every day. When it comes to combat, the keyword is ‘agile’. Rafale is able to adapt to different scenarios and conflict levels, thanks to the multitude of sensors and weapons available to the pilot (and WSO in the case of the Rafale B). These capabilities goes all the way to peacetime, where the Rafale has provided assistance to emergency authorities by documenting natural disasters and floods with their dedicated reconnaissance pods. But while peacetime assistance is a nice bonus, HX will be bought for its combat potential. And here the Rafale is able to provide serious hours of combat potential, both on a daily basis as well as for prolonged periods of time. The Rafale can do 10 hour CAP-missions, and is able to surge over 150 monthly flight hours per aircraft. The latter has been demonstrated repeatedly during combat operations such as Operation Chammal, the French strikes in Syria and Iraq. The single most high-profile mission in the area is without doubt the strike on Syrian regime chemical warfare installations earlier this year. Here, the Rafale demonstrated the “seamless plug and play” capability of the Rafale to integrate with other NATO-assets to carry out a complex long-range mission. Five Rafales, including two-seaters, flew out of bases in France to strike two facilities at Him Shinshar, one of which was targeted together with US Navy, Royal Air Force, and the French Navy, while the other was struck solely by the Rafales. As was noted in the immediate aftermath of the strikes, they took out all intended targets without interference from neither the Russian nor the Syrian air defences. Another benefit the Rafale brings to the table is the second engine. While the benefit of twin engines for normal flight safety redundancy is limited these days, in combat the ability to lose an engine and still limp home is an asset. “It’s more comfortable,” as a former Mirage 2000-pilot puts it. Last time around the Mirage 2000 was the only fighter other than the F/A-18C Hornet to meet the requirements of the Finnish Air Force, but suffered from what the evaluation thought of as a “maintenance system which would be difficult for us”. This is not something Dassault expects will be repeated, as the maintenance requirements for the Rafale is one of the areas which have seen vast improvement. The Rafale feature a fully digital mock-up which has provided the basis for the maintenance studies. These theoretical calculations have then been validated by comparison to an airframe which has been tortured in Dassault’s laboratory. The final outcome is a maintenance program centered around on-condition maintenance rather than the traditional by flight hour system, and a scheduled airframe maintenance which is halved compared to that of the current F/A-18C/D Hornets. While the Rafale is not unique amongst the HX-contenders in taking maintenance to the next level, it is hard to see the aircraft being dropped on what was a weak point for the Mirage 2000. In the end, talk about the Rafale always comes back to the ‘here and now’. This is an aircraft that is immediately available, ‘fly before you buy’ as Dassault puts it, and keeps balancing nicely on the edge between maturity and cutting edge. The key role it plays in French defence also means that it will continue to be kept updated throughout the lifespan of HX. Like Eurofighter, Dassault is keen to point out that Rafale will also play a part in the Franco-German Future Combat Air System (FCAS), which true to it name is a system and not just a new fighter. The Rafale stands out in many ways from the competition, offering a number of unique solutions and concepts. Time will tell if these will catch the interest of the Finnish Air Force, or if a more conservative solution will be sought. The field of advanced weaponry such as anti-ship missiles is rarely a transparent one. Still, the new PTO 2020 is turning out to be quite something, being about as opaque as your favourite Ostrobothnian river following heavy spring rains. The best source on the ANAM that is currently available is likely the single cutaway found on IAI’s homepage. This can then be compared to the dimensions of the Harpoon, which are well-known. Under the assumption that the diameter of the ANAM and Harpoon are similar(ish), which seems reasonable considering their very similar layout, a closer comparison can be made. My original impression which I voiced in the last blog was that ANAM is longer and with a slightly different arrangement of the fins. Having compared the cutaway of the ANAM with that of the Harpoon (see e.g. Think Defence’s piece on the Harpoon), it does seem clear that this was a mistake, and the ANAM is in fact almost impossible to externally differentiate from the Harpoon. It should be noted that this conclusion rests on the assumption that A) the ANAM cutaway supplied by IAI is at least remotely correct, and B) that the diameter of the missiles are indeed the same. On the first account there does exist a possibility that the supplier isn’t completely honest when it comes to marketing material, but it is an OSINT-risk I am prepared to live with for the time being. On the second account, there seems to be little reason to produce a new weapon so closely modeled after the layout of the Harpoon, unless it is designed to fit the current logistics chain, including storage containers and possibly the launchers themselves. This is as I see it the only possible explanation why the Israelis chose the exact same layout and size of fins to the exact same external body. Small caveat here that the inlet might differ, as it is shrouded by the fins in the cutaway, and a retractable scoop a’la BGM-109G GLCM is a possibility. Something like this is visible in the Skimmer-video referenced in the last post, though it is unclear if that is the ANAM or a generic anti-ship missile (it does look somewhat like IMI’s Delilah HL, but the configuration of the fins is different). One interesting point that stands out in the cutaway, however, is the internal component layout compared to the non-ER versions of the Harpoon. Crucially, the warhead occupies more or less exactly the same space as the 500 lbs (227 kg) warhead of the Harpoon. If the cutaway is correct, this would indicate that Finland has decided against downsizing the warhead compared to the current MTO 85M. The size of the fuel tank would also likely indicate a range in the 150 km class rather than the 200+ km ranges of the RBS 15 Gungnir, NSM, and Harpoon Block II+ ER. Crucially, as 150 km is more than “about 100 km“, this does not contradict that the PTO 2020 has longer range than the MTO 85M, one of the few capability details revealed by the Finnish authorities (this being confirmed by captain Valkamo). For the sensors available to the Finnish Navy and for the relatively limited firing ranges of the Baltic Sea, blast size for range isn’t an unexpected trade-off. However, in a field where only the RBS 15 and Gabriel had a 500 lbs warhead, this might certainly have been one of the deciding factors. Notably, the traditionally conservative Finnish Defence Forces seems to continue favouring radar-seeking missiles with large warheads, operating at high-subsonic speeds. All in all, it does seem likely that at some point after the introduction of the RGM-84D into Israeli service, the Israelis were not happy by the continued development path of the Harpoon, and decided to make a better version on their own (note that “better” might be in the narrow sense of better suiting Israeli requirements). This is not unheard of when it comes to Israeli weapons development (see e.g. Magach contra M60 Patton, or Kfir compared to Mirage V), and would make Gabriel 5 something of a cousin to the Harpoon Block II+ ER. The Harpoon DSCA-request was discussed when it arrived, and while the Harpoon wasn’t picked, it does give some interesting pointers regarding the scope of the Gabriel-deal. It covered 112 live missiles and eight exercise ones, for a total sum of 622 million USD (532 million Euro). This is likely the absolute maximum, and corresponds to the Gabriel order including options. The quoted sum for the latter was 162 million Euros for the firm order and options for an additional 193 million Euros, for a total of 355 millions. In other words, the Israeli offer including options was 40% cheaper than the DSCA-request. Even if there are discrepancies between the two offers, the difference is big enough that the Israeli offer must have been objectively cheaper by all standards. In 2017 INS Hanit, an Israeli Sa’ar 5-class vessel, took part in the international exercise ‘Novel Dina 17‘ with a single quadrupel-launcher of a new design (note that at least one of the pictures described as showing the INS Hanit in fact shows a Sa’ar 4.5-class vessel). This was captured on picture by AP press photographer Jack Guez, and labelled as the ‘Missile boxes Gabriel’. The box-shaped launchers have to the best of my knowledge not been seen either before or since. This is not surprising, as their unstealthy and generally crude look does give the impression of them being a test-installation rather than the final mount. The Sa’ar 5 employs their Harpoons in two stealthy launchers, each holding four missiles. As discussed above, it is possible that the Gabriel can be fired from the same launcher, with only the missile control unit inside the vessel being switched out. As such, identifying which missile is carried based on the launcher is hard to impossible. However, in a YouTube-video posted by the Israeli Navy on their channel in the spring of 2017 a launcher with two longitudinal ‘stripes’ is visible. These might be vents, but in any case they differ compared to the standard version. If they are related to the Gabriel or not is impossible to tell, but there seems to be an upgraded version of the launcher introduced into service within the last year(s). When Svenska Yle asked the Armed Forces about which other countries use the system, they could only confirm that other countries also use the system. Individual countries could not be mentioned because the information is classified. An interesting question is where the Gabriel is in operational use. There is a small caveat that since this isn’t a direct quote and the interview might have been conducted in the secondary language of either the journalist or the Defence Forces’ representative, it is possible that this was a misunderstanding. However, the quote above, from an article by the Finnish public broadcasting company YLE, gives the impression that more than one country uses the missile. This obviously raises the question which country that might be? Books can, and indeed have been, written on Israeli arms trade. In oversimplified terms, Israel is ready to export their weaponry to most anyone who can guarantee that it doesn’t end up in the hands of any of the countries actively promoting the destruction of the Israeli state. In effect, this has lead Israel to exporting arms to numerous countries in Africa, Asia, and South/Central Americas. Deals to western countries usually go through local partners (see today’s announcement about Lockheed Martin cooperating on the SPICE guidance kit). Export of earlier versions of the Gabriel have usually been tied to the export of Israeli surplus naval vessels, something which isn’t the case with the Gabriel 5 as it is so new. In recent years, three countries stand out when it comes to Israeli exports: India, Vietnam, and Azerbaijan. The missing link between the jewish democracy of Israel and the muslim dictatorship of Azerbaijan is Iran. Azerbaijan is in fact somewhat western-aligned, in part as neighbours Armenia and Iran are aligned towards Russia, and operate an impressive array of Israeli equipment. This includes Israeli Shaldag-class fast patrol craft and Sa’ar 62-class offshore patrol vessels. The latter are based on the Israeli Sa’ar 4.5-class fast attack crafts, and can likely lay claim to the title of the world’s most heavily armed coast guard vessels. Interestingly, Azerbaijan’s Turan news agency reported in 2011 that the country was buying an unspecified version of the Gabriel (secondary source, primary link broken). As the Sa’ar 4.5 in Israeli service is armed with the Harpoon, it is plausible that the missile system was destined for the Sa’ar 62. However, there are no indication of the system ever having been delivered to Azerbaijan, and the Sa’ar 62 currently operate with the SPIKE-NLOS (as seen in the infamous music video which confirmed the presence of Harop in Azerbaijani service). As such, it seems likely that the Gabriel was axed and replaced by the SPIKE-NLOS in the arms package. India has bought Barak surface-to-air missiles for their newer vessels, and Vietnam is in the midst of a naval expansion program. While there are reports that some Vietnamese vessels are set to get improved firepower, nothing tangible indicate that the Gabriel would have been exported to either country. Enter the Singaporean Formidable-class frigates. These are based on the French La Fayette-class, and is certainly one of the most formidable classes in operation in Asia. However, one odd feature is the fact that most sources list their main armament as being the outdated RGM-84C Harpoon, first introduced in 1982 and only marginally better than the original 70’s design of the -84A. While the Singaporean Navy isn’t exactly open with their armament choices, it seems that the assumption is that they share the RGM-84C version with the older Victory- and Sea Wolf-classes (the latter now retired, and curiously enough originally fitted with the Gabriel 2). The continued use of the RGM-84C would place the vessels at something of a drawback in a neighborhood featuring Exocet MM40 Block 2 and NSM, and would seem a strange decision considering the considerable cost sunk into the frigates. There has been some rumours* that IAI participated in and lost the tender to arm the Formidable-class. Looking back, it might just be that they did participate, but in fact won. And no-one even noticed. *The post reporting the rumours also discusses an Israeli missile shot showing a slender and fast missile, and speculates this could be a scramjet powered Gabriel 5. If that is the case, it is something completely else than the ANAM. My personal opinion is still that the ANAM is the likely Gabriel sold to the Finnish Navy. The decision on one of the most important weapon systems for the Finnish Navy has become public today with the surprise announcement that Israeli Aircraft Industries’ Gabriel has been chosen for the PTO 2020-contract. The PTO 2020 will be the main ship-killing weapon of the Navy, being used on the Hamina-class FAC and the Pohjanmaa-class corvettes (Squadron 2020) as well as from truck-mounted batteries ashore. As such, it will replace the current MTO 85M (the RBS15 SFIII, a customised RBS15 MkII). This also effectively kills alls speculation that there would be a joint anti-shipping weapon operated by the Navy and by the Air Force, as there seems to be no air-launched version available for fast jets. First a short discussion regarding the designations: IAI never mention Gabriel on their homepage, but they do market the Advanced Naval Attack Missile, and most sources agree that this is the Gabriel V. The odd one out is CSIS, which lists two versions of the Gabriel V, of which the ANAM is a shorter-legged and newer version of the original Gabriel V, which instead is designated Advanced Land Attack Missile. Also, the version of Gabriel bought is not publicly confirmed by the Finnish MoD, but there’s few possibilities. My working hypothesis is that while there might be slightly different versions the missile most commonly described by the Gabriel 5 / Advanced Naval Attack Missile designations is in fact the one bought by the Finnish Defence Forces. Looking at the field, it was clear from the get-go that the big dividing line was between the IIR-seeker of the NSM compared to the traditional radar seekers of the rest of the field. Coupled with the stealthy body of the missile, this allows the NSM a completely passive approach. The phrase “they never knew what hit them” has never been truer. However, the world of physics also dictate that IIR-seekers perform worse in adverse weather conditions (snow, rain, fog, …) compared to radar ones, a serious drawback for any weapon designed to operate in the northern parts of the Baltic Sea. While Kongsberg always claimed that the NSM offers true all-weather capability, it has remained impossible to judge the true differences based on open sources. Also, the Finnish Defence Forces is known as being somewhat conservative when adopting new technology, preferring evolution over revolution. This became evident once again with the decision to opt for the tried and tested radar seeker, and notably stealth isn’t as important for a sea-skimming missile were detection ranges are extremely short. The Gabriel has an interesting history. A month after the end of the Six Day War in 1967 the Israeli (ex-Royal Navy) Z-class destroyer was attacked without warning by three P-15 Termit anti-ship missiles from an Egyptian Project 183R Komar-class vessel sitting inside the harbour of Port Said. While tactical lessons of a WWII-vessel being hit by three missiles fired from inside a port basin might be discussed, it was clear for the IDF that a modern anti-ship missile was needed, and the Navy took over the failed Luz-program of surface-to-surface missile to produce what became the first version of the Gabriel. This proved to be an excellent weapon in the Yom Kippur War of 1973, where the Israeli Navy was the sole service branch to completely sweep the floor with the enemy. Development of the Gabriel continued, but by the mid-80’s the Harpoon was being introduced in Israeli service, and it looked like it spelled the end of the indigenous weapon. However, in a country famous for resurrections, death should never be taken for granted, and by the early years of the new millennium analysts where starting to question why Israel wasn’t upgrading their stocks to the new RGM-84L standard. Rumours started spreading about a new weapon being development. The exact specifications of the Gabriel V are shrouded in secrecy, but it seems to be built according to generally the same form factors as the Harpoon. The first relatively confirmed sighting of the new weapon came two years ago, when a SINXEX involved the Israeli Navy firing a Harpoon followed by a new weapon. The stills are blurry to say the least, which seems to indicate a faster launch speed and/or worse camera than used to shoot the corresponding Harpoon launch. Another one of the few publicly available pictures/renders is found in this video, where an unspecified anti-ship missile is available as part of the IAI Skimmer-package for maritime helicopters. An air intake below the missile fuselage is found on the helicopter video but not visible upon launch in the SINKEX, but might be retractable or specific to the air-launched version. On their homepage, IAI offers a few choice insights into the weapon. It does sport and active radar seeker, and while Israel has no archipelago whatsoever, they are situated close to one of the world’s busiest shipping lanes with the number of civilian and neutral vessels vastly outnumbering those of potential targets at any given time. This means that the missile should feel right at home in the Baltic Sea. The weapon also reportedly “copes with rapidly evolving tactical situation”, which can only mean that it sports a datalink. It also “penetrates hard-kill defenses”, which likely is a cover phrase for end-phase maneuvering. From the video of the SINKEX the impact point low on the hull is visible, though it is impossible to tell whether the missile shown impacting the tanker is in fact the Harpoon or the Gabriel. On the cutaway it is evident that the weapon has a jet engine. The size of the warhead is unclear. RBS15 sports an impressive 200 kg warhead, while Exocet sports a 165 kg one, the Harpoon ER has shifted down from a 220 kg to a 140 kg warhead, with NSM also having a 120 kg one. The question of what kind of destructive firepower is needed for the Navy to effectively stop the Baltic Fleet short in their tracks is an interesting one. In short, 200 kg of explosives going off won’t send a frigate or destroyer-sized target to the bottom of the Baltic Sea. A good example here is the attack on the Iranian 1,100 ton frigate Sahand. which was hit by five 220 kg warheads (including three Harpoons) and cluster bombs, and still floated for hours before fires reached the magazines of the ship. A common theme is that fires might however prove troublesome, as was seen with both the Swift, hit by an Iranian C-802 near Yemen, and the HMS Sheffield hit by a single Exocet in the Falklands war. In both cases the ensuing fires caused significantly more damage than the warheads themselves. In the case of the Sheffield, the warhead seems to have failed to detonate, but the impact put the main firefighting systems out of action, severely hampering the fire-fighting effort. One thing that has potentially been seen as an issue for the Gabriel has been the lack of shore-based systems. While the technical difficulties of creating a new launching system by mounting the tubes on a truck aren’t overwhelming, the certification process still will require some additional funding. Apparently this still fit within the given cost/capability brackets, especially as the MoD states that the deciding factors have been “performance vis-à-vis acquisition costs and schedule, lifecycle costs and security of supply, and compatibility with existing infrastructure and defence system”. Notably the maintenance will be done in Finland. The Gabriel was decidedly something of an underdog, but it is clear that the Navy went into the project with an open mind and looking for the best option instead of just continuing in the tried and tested tracks of the next RBS15. Following the Polish and German export orders for the RBS15, diversifying the anti-ship missiles of the western countries around the Baltic Sea is also a good thing, as this makes it harder for the Baltic Fleet to optimise countermeasures. The weapon also has a secondary land-attack capability, although the damage of the comparatively light warhead deals to any kind of hard target isn’t too impressive and the missile comes with a relatively hefty price tag. It could potentially have a role in taking out soft high-value targets, such as the kind of long-range radar systems. This demonstrates another case of a Finnish defence program moving into what the US likes to call ‘cross-domain’. In other words, joint capabilities where the ground, naval, and air domains interact over the boundaries to support each other either through kinetic effect or by providing targeting data for each other. As such, it does provide another part of the Finnish deterrence picture, further strengthening the ability of the Finnish Defence Forces to hit targets at long-ranges (most sources seem to agree upon at least 150 km range). Imagine the following scenario: an HX-fighter identifies an enemy brigade headquarter being temporarily set up in the terrain close to highway E18, outside of the range of the Army’s long-range multiple rocket launchers. The maritime threat level is however low, and the Navy dispatches two Hamina-class FAC’s which in a few hours travel from their hiding locations near Örö, to take up positions west of Suomenlinna within the air defence umbrella created by the Army’s ground-based SAM systems covering the capital. From there they fire a salvo of PTO 2020’s, which strike the target 150 km east, not necessarily putting it out of action but dealing severe damage to it. While the missiles are still in the air, the Haminas retreat back to the safety of the cluttered archipelago, stopping for a refill of missiles at one of the several smaller ports found along the Finnish coastline. The whole operation is over well within 24 hours from that the fighter first spotted the target. That is cross-domains fires and joint capabilities. After something of a slow start, Boeing kicked off their HX-campaign with a bang last year, bringing two Super Hornets to both major Finnish air shows. One of these was the classic VFA-103 ‘Jolly Rogers’ CAG-bird, while the other was from VFA-143 ‘Pukin’ Dogs’ and played the role of Block 3 demonstrator at Seinäjoki air show. This was followed up with a visit to Tampere-Pirkkala AFB where the fighters were shown to the Air Force’s Air Combat Centre. Since then it has been an eventful year for Boeing’s ‘Rhino’, with the US Navy having signed a contract for 134 new F/A-18E/F Super Hornets over the next few years. These newbuilds will be of the Block 3 standard from the get-go, and will be produced at a production line in the company’s St. Louis factory. At the same time, another 450 fighters will be upgraded during the coming ten years from Block 2 to Block 3 standard, with the work taking place both at a second production line in St. Louis as well as in San Antonio, Texas. Having several scalable production lines is a conscious decision by Boeing, who likes to have some headroom available for added Super Bug-production. We predict significant international orders. There’s interest from Germany, Poland, India, Spain, Switzerland… Oh, and Canada. The long-awaited Kuwaiti order was mentioned as a category of its own, and was finalised today, a few weeks after the interview. While the Rhino is sometimes decried for its lack of success on the export market, it is important to remember the scope of the US Navy orders. While the Eurofighter consortium is rightfully proud of the almost 500 aircraft in service throughout Europe, the recent Block 3 orders means the US Navy alone will outnumber those, with a total of 584 Block 3 Super Hornets to be operated by the service. To this number then comes 36 Australian and now 28 Kuwaiti fighters. Having the Block 3 finally confirmed and fully funded with the production lines open well past the 2025-mark is significant for Boeing when it comes to HX. The Block 3 will give the aircrafts a 9,000 flight hour airframe, but the big change comes to the combat ability of the aircraft. The new wide-area multifunction display will create what Boeing calls “the most advanced cockpit” currently operational, and the TTNT (Tactical Targeting Network Technology) will make significantly increase the amounts of data transfer possible over the data link. TTNT is an example of what used to be niche technology on the EA-18G Growler being transferred to the baseline Super Hornet. Significantly more processing power is also in the works, which will facilitate a much quicker upgrade cycle going forward. The addition of conformal fuel tanks, the first HX contender to sport CFT’s, will also provide a big boost by allowing the aircraft to go faster with the same fuel load, or alternatively carry more weapons for the same range (a third option which is more interesting from a carrier viewpoint than for Finland is getting even more range out of the aircraft by using both CFT’s and drop tanks). Something Boeing talks openly about is stealth, though their angle is rather different from that of certain other contenders. The IRST included in the Block 3 is “counter-stealth technology”, while the talk about fifth generation fighters is a “marketing scheme”. The decrease in radar-cross section of the Block 3 compared to Block 2, which has received significant coverage from some, is rather modestly described as “a little bit more coating”. The HX competition and the Finnish hosts receive high marks. The competition for HX might be fierce, but both the Finnish Defence Forces and the Finnish MoD are “very transparent”. On the whole HX is both “fair”, “well-run”, and “documented in all the right ways”. And going through the HX-ladder of requirements, Boeing is confident that they will pass with flying colours. We can prove life-cycle costs on mean-time between failures and so forth. Real data, not engineering reference data and assumptions. 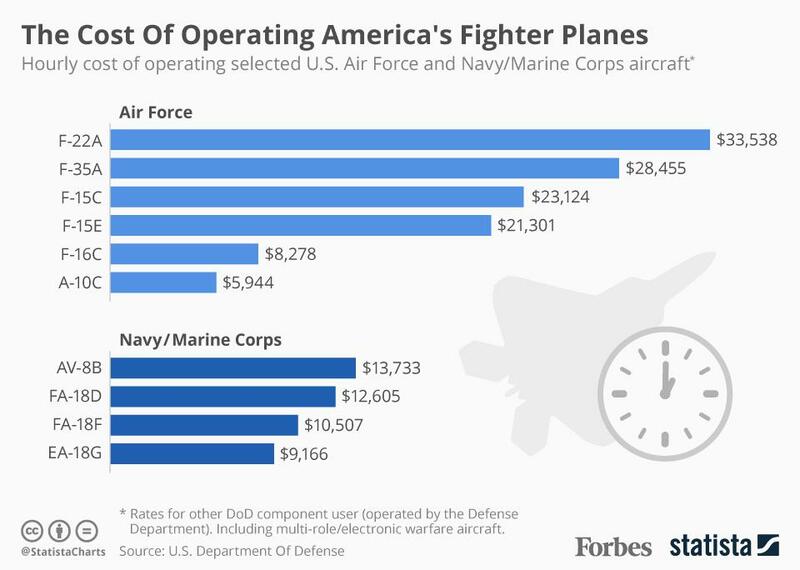 Notably, due to the US openness when it comes to budget numbers, the flight hour costs are open information (usual caveat for different operating environments and budgeting methods apply). Hovering around 9,000 USD per flight hour, the cost for the Super Hornets have been lower than that of the aging legacy F/A-18 Hornet in recent years. At the same time, the F-35 and Eurofighter both aims for ‘F-16 like levels’ within the next decade, but neither are there quite yet (the F-35A currently needing a 38% cut in operation and sustainment costs to reach that target). One of the real trump cards of Boeing is their current close cooperation with the Finnish authorities as well as with the Finnish industry. Maximising industrial cooperation with Finnish partners might prove to be a challenge for some, but Boeing has already been there. Contrary to normal procedure the MLU2 of the Finnish F/A-18C/D Hornets were performed locally by Patria and not in the states, a point raised by Boeing. Even more importantly, Boeing’s offset responsibilities in conjunction with MLU2 were met either on time or early. Crucially, by now Boeing understands the Finnish business and administrative culture to an extent unmatched by any of the rivals (with the exception of Saab), having dealt with the customer on a continuous basis for the last two decades. The current sales organisation even include some veterans who were part of the winning team last time around. While the capabilities of the offers will be the determining factor, there is no denying that understanding how to present those capabilities to your customer plays an important role in dealmaking.